If you live in the Midwestern US, you might have heard about Green BEAN Delivery. If you haven’t, you probably should. That’s because this lovely Indiana-based company has some of the best offers in the whole of the Midwest. Still, Green BEAN Delivery has a pretty localized area of distribution, of which we will talk about later. However given the fact that everything they deliver has been grown and is as fresh as possible, what could you ask more? Although the company may have intentions of expanding, the citizens of some of the Midwestern states really have something unique and wonderful coming to their doorway. Whether you live here and haven’t tried their Green BEAN grocery delivery, or if you plan on moving here, we’ve put this list together just for you. 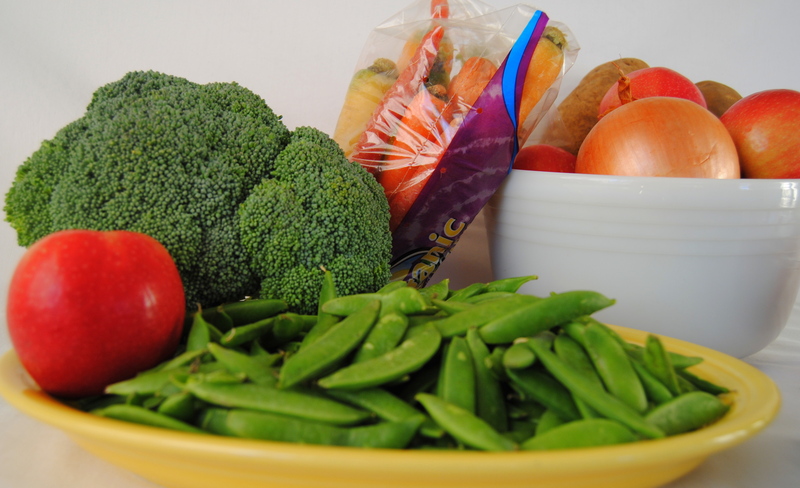 Here are a few basic facts and information about Green BEAN Delivery. Different fresh vegetables on a table. Green BEAN Delivery, as per advertised on their website, started out as a family business. Back in 2007, Matt Ewer and Beth Blessing, husband, and wife became founders and co-owners of the company, each then getting separate roles. Matt Ewer runs the business, being the CEO while his wife Beth is the chief nutritionist of the organization. As you may have realized, the name of the company is spelled with a capital BEAN – pardon the pun. This is because each of the four letters in their name stands for something. The B stands for BIODYNAMIC. This means that the food on their farms is part of an entire self-sustaining ecosystem that connects not only people and plants but also accounts for the soil and for the animals. The E in the name stands for EDUCATION. This means that all their farmers are taught by their experts and farm manager how to grow food to meet expectations while keeping it in the green, natural zone. The A in the name stands for, you guessed it, AGRICULTURE. This is because the company does not do just food distribution, but it actually grows the produce on two separate farms – one in Indiana, and one in Ohio. Finally, the N stands for NUTRITION. This is because of their aim to reintroduce nutrition as a key element of the health of the members of Green BEAN Delivery. Besides the name and the leadership, the company also has a strong focus on the local communities from the areas in which they operate. Local milkmen, local shops, and stores – all have partnered with the company to benefit from its top-notch distribution system. And Green BEAN also gives back – their farm in Ohio has made an agreement with the Cincinnati Zoo to deliver fresh produce to them for their animals. We could stay here talking all day about what Green BEAN is, but I think the most important fact is how Green BEAN Delivery works. The ordering process from Green BEAN is a bit more complicated that others we have talked about on this website – for example, AmazoFresh. There are three easy main steps to get the groceries you want from Green BEAN Delivery. Go to their website at greenbeandelivery.com. Select your state. Depending on their availability, the site will change slightly. Sign-up for their service. Once you’re on the website, you have to fill a form with your details. After this is done, you get to select how big you want your groceries bin to be and how often you want it delivered. Select the foods you want. 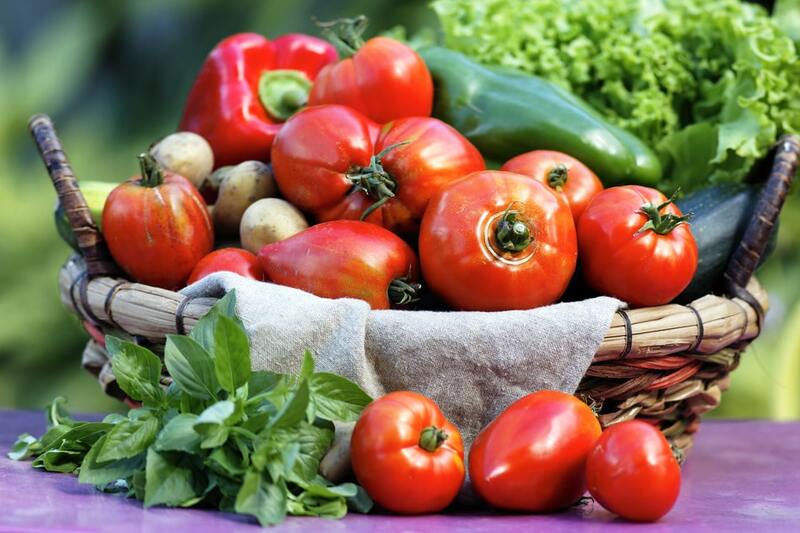 You can add recurrent items, you can plan ahead for up to 12 weeks, and you can choose exactly the types of produce you want – non-GMO, organic, gluten-free, etc. The foods are delivered. The delivery doesn’t take long at all, and you can even opt for the bins to be placed in a secure backyard place if you’re not at home when they arrive. The neat packaging makes sure the items stay fresh for up to 8 hours. The smallest grocery bin must contain an order of at least $35. Green BEAN Delivery takes up most of the Midwest, going slightly to the south into Kentucky. 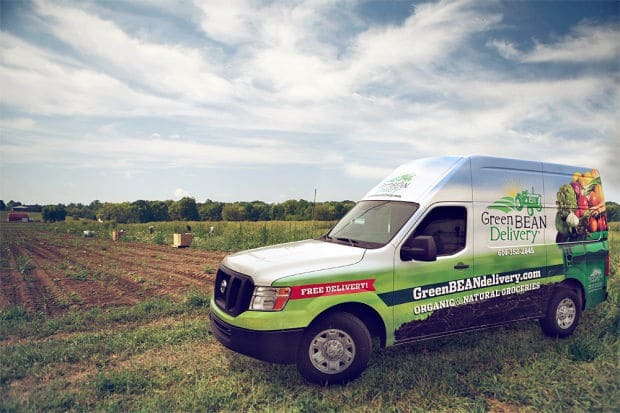 Although both we and they would recommend that you check your zip code via the form on www.greenbeandelivery.com, they should be able to accommodate any orders within a few states of Indiana. Their farms being in Ohio and Indiana, naturally, all areas of the two states are covered. This includes Green BEAN Delivery Indiana and Green BEAN Delivery Cincinnati. Furthermore, Green BEAN is available to the west into Missouri, and to the South in Kentucky and even Tennessee. All the orders of the company are delivered in a closed timeframe. That’s between noon and 8 PM on Thursdays and Fridays only. This is because everything needs to be double checked and because all the orders must be completed up to their standards. Also, because of this tight delivery schedule, people can only customize their order between Thursday and Monday in the week before the delivery, so as to leave three to four days for the company to process the order. Green BEAN does not have any delivery fees, but only for orders that exceed a certain sum of money depending on the size of the grocery bin. For the smallest one, the minimum order is $35. For the large, family sized bin, the minimum order is $49. If you cancel your order after 3 PM the Monday before the delivery, you will be charged a $5 fee. If you fail to give back the food bins in the given time, you will be charged $15 for every bin. Green BEAN Delivery Website: here. Green BEAN Delivery Store Preview: here. Green BEAN Delivery Contact Form: here. Green BEAN Delivery Social Media: Facebook & Twitter. Green BEAN Delivery Contact Number: 844-476-2326. Green BEAN Delivery FAQ: here. Hey Buddy!, I found this information for you: "Green BEAN Delivery 101: Areas, Hours, Fees". Here is the website link: https://all2door.com/green-bean-delivery-101-areas-hours-fees/. Thank you.